Widely regarded as one of the most skilful and elegant players of his generation, Jeremy Guscott enjoyed a stellar career with hometown club Bath, England and the British and Irish Lions. Having already lit up the club scene with his ability to glide past defenders on the outside through a swivel of the hips or an injection of pace, he made an instant impression on the international scene with a hat-trick on debut against Romania in 1989. 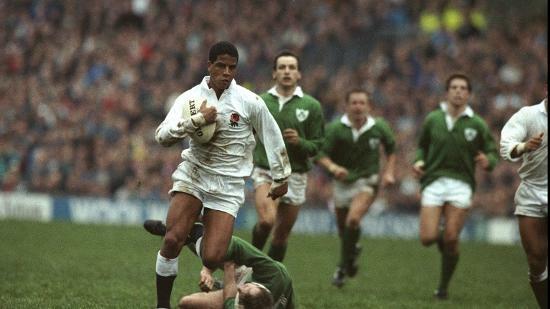 Guscott won the Six Nations Grand Slam with England in 1991 and reached the Rugby World Cup final later that year. 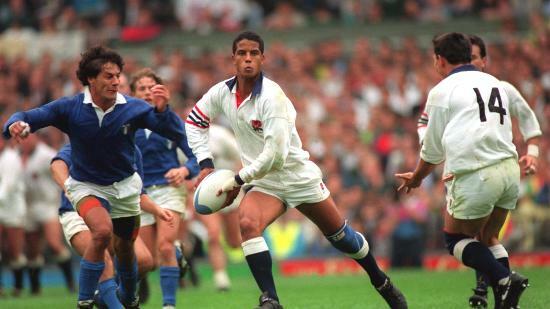 After 65 caps and 30 tries Guscott called time on his playing career at the conclusion of RWC 1999. As well as being a fixture in the England side for the best part of a decade, Guscott won two series with the Lions, most notably in South Africa in 1997 when his drop goal in the second test proved decisive.